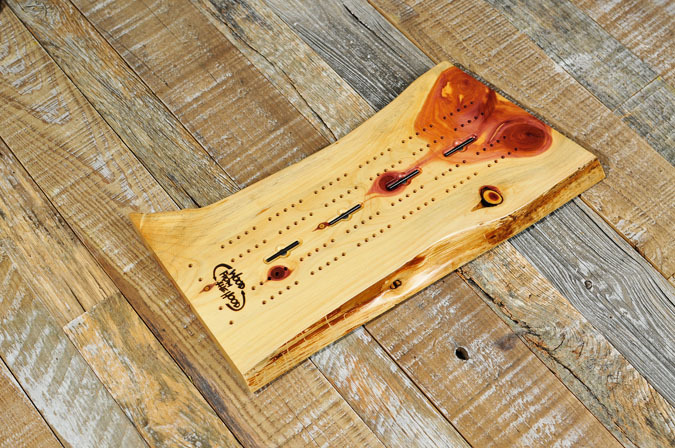 Made of solid wood, these Wood From the Hood boards will provide a lifetime of pleasure, not only playing the game but just looking at the beautiful grains and patterns in the wood. 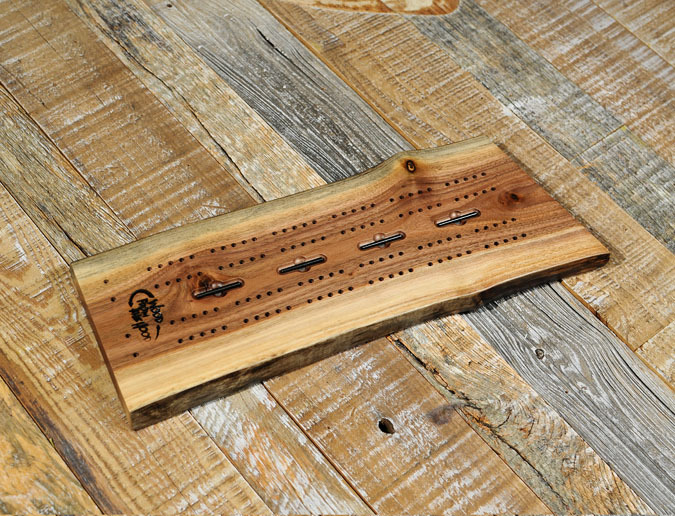 Board includes 4 metal pegs that are held in place on the board by inserted magnets. The Small boards average about 12″ long and 5″ wide. Boards are 3/4″ thick and finished with an environmentally friendly but durable clear finish. Note, wood grains and size will change with the beauty of the individual piece of lumber used to create the product.